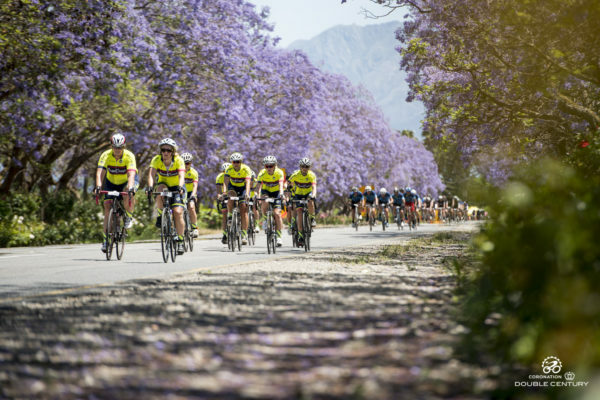 The 2018 Coronation Double Century is just over two months away. 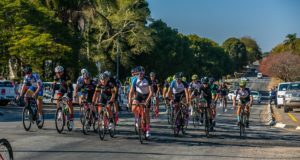 We have put together some advice and tips for endurance nutrition for all those training for the 202km road race. The Coronation Double Century represents some unique challenges, not least of which is eating and drinking properly (and enough) to help you “go the distance”. 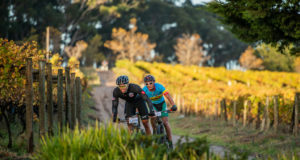 Outside the two team support zones, at Ashton and Bonnievale, riders in the Coronation Double Century are expected to be self-sufficient. And, while there are refreshment stations on Op de Tradouw and at Drew, you still need to carry enough to eat and drink in-between. Here are a few fuelling tips to ensure that you have the sustained energy you need come 24 November. This is the oldest rule when it comes to race day nutrition, regardless of the distance of the race. And yet, so many riders still ignore it. Find what works for you – in terms of nutrition and hydration products – during training and then stick to that. Never try something new on race day. Ever. This goes for high load products such as gels too. Riders who train scientifically go as far as to measure their sweat rate, weighing themselves (unclothed) before a ride and then again after. In simple terms, every half a kilogram deficit is equal to 500ml. So, if you weighed 65kgs before a two-hour ride and 64kgs when you get back, you’re a litre behind. This means you have to take whatever you drank and add a litre. However, it has often been said and documented that for a long effort such as CDC, drinking to thirst (provided that you do) is good. It’s important to start with a full tank, especially since the 16km Tradouw Pass comes so early into the effort on CDC. The best options for a pre-ride meal or snack are foods that are low in fat and fibre. Carbohydrates that are high in fibre and gas-forming (bran products, legumes, and certain vegetables, such as onion, cabbage and cauliflower) are not recommended as they can cause intestinal discomfort. It’s also important to remember that food you eat is available to your muscles only once it has been digested – a general guide is to allow about three to four hours for a big meal or one to two hours for a small meal or snack before the start. That means an early alarm clock on 24 November. Eating can feel like work at that time of the morning (or is it still night), so again it is something that is worth ‘practicing’ during training in the build-up. Perhaps on a weekend training camp before a long ride. This is arguably the most important nutrition element during an ultra-endurance event. As mentioned previously, the idea is to drink enough fluid to replace what you’ve lost. This is different for each cyclist and environmental conditions play a huge role. Drink to thirst, this should be approximately 0.5-2L per hour in small volumes (150ml-200ml) every five to 20 minutes. Know that it is (very) possible to over-hydrate too. The beauty of having a support vehicle at Ashton and Bonnievale is that you can pack a cooler box with exactly the right fuel for you. So, what to pack? First, let’s talk carbohydrates. These come in two broad categories: slow release – foods such as rice, pasta and sweet potato. And, fast release which includes white bread, chocolate, cakes and biscuits. Fast release carbohydrates do exactly what you’d expect – give a quick jolt of sugar in the body. This cannot be sustained and the ‘drop’ after is imminent. The most efficient way of eating at the support stations then, is to combine a mixture of carbohydrates and also protein. A peanut butter sandwich (on wholegrain bread – which is slow release) would have a good combination of slow release carbs and protein. One sandwich-sized spreading of peanut butter also provides around 208mg of potassium. Adding a bit of fat also helps slow down the release of carbs – a handful of nuts or chocolate milk. Many pros swear by sweet potato. This slow-releasing carb is also loaded with abundance of vitamin A, which can help ease strained muscles. Sweet potatoes are also a good source of magnesium, which are important for healthy muscle function. A firm favourite (aside from sandwiches and boiled baby potatoes) at the support zones is chicken wraps. Fill a whole wheat tortilla wrap with a lean chicken breast, torn or chopped into bite-size pieces, some slices of red pepper, half a chopped avocado and sliced tomato, a couple of tablespoons of chickpeas and a dollop of sour cream. The wrap itself contains about 20g of slow energy releasing carbohydrate. The chicken has 22g protein and around 110 calories and you get over half of your daily vitamin C from the pepper and the tomato. The chickpeas and avocado add another 16g of carbohydrate to boost your energy along with a dose of omega-3 fatty acids which have been shown to help promote fat-burning as an energy source. All of that being said, it is crucial to keep fuelling while on the bike, to avoid complete glycogen depletion, or ‘bonking.’ The best way to avoid this is to eat small but often. A good rule of thumb is to ingest about 100-250 calories and some form of high carbs every 30 minutes, even in the first hour.